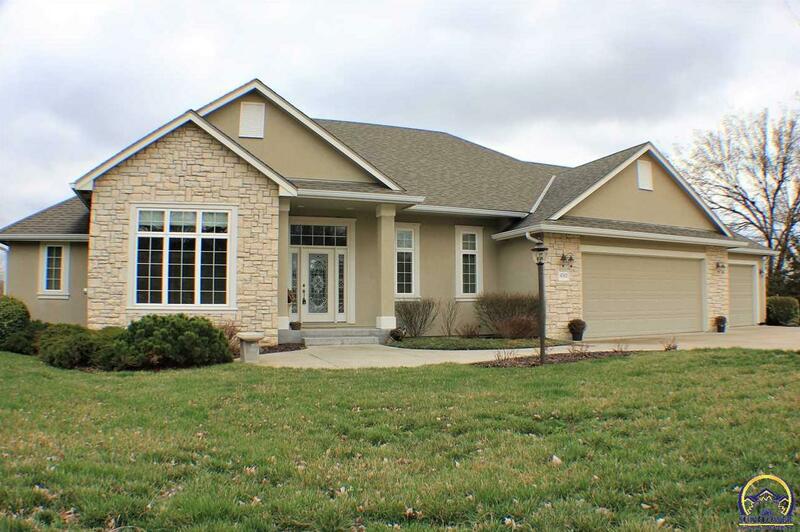 Immaculate living w/ this waterfront, Washburn Rural ranch. MAIN FLOOR and basement lvl laundry rooms, full kitchen/bar area in basement, large pantry, corian counters, custom woods cabinetry, private master suite, central vacuum, huge storage room, and so much more. Unique floorplan from garage through the rest of the home incorporating the screened in and covered deck areas. Don't miss the workshop in basement that leads to the beautiful patio overlooking the water! Large garage big enough for a 4th car! 4512 Lincolnshire RD (MLS #206523) is a ranch single family home located in Topeka, KS. This single family home is 4,144 sqft with 4 bedrooms and 5 baths. This property was listed on 04/04/2019 and has been priced for sale at $565,000. Nearby zip codes are 66610 1453, 66610 1509, 66614 6515, 66614 and 66616. This property neighbors other cities such as Auburn and Wakarusa. Listing Last updated 04/04/2019 3:45 PM CDT . Some properties which appear for sale on this web site may subsequently have sold or may no longer be available. Walk Score provided by Walk Score. Mapping data provided by Google and Bing.